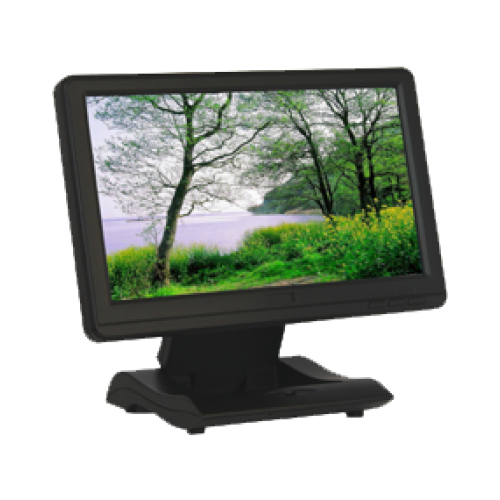 The Lilliput UM1010/C/T is an 10 inch 16:9 TFT LCD USB monitor with touchscreen. You use the supplied USB cable to attach to 2x USB ports on a host machine, install the driver sets (one for the display / image, another for the touch screen), and the monitor system works without the need for an external power supply. Brilliant! Setup menu for Screen Resolution, Colours, Rotation and Extension, etc. Monitor Driver supports OS: Windows 2000 / Windows XP (32bit、64bit) / Windows Vista (32bit、64bit)/ Windows7(32bit、64bit) / Mac OS X.
UM-1010/C/T has thousands of useful and fun applications: keep your main display clutter free, park your Instant Messaging windows, keep your application palettes on it, use it as a digital picture frame, as a dedicated stock ticker display, put your gaming maps on it. UM-1010/C/T is great for use with a small laptop or netbook because of its light weight and single USB connection, it can travel with your laptop, no power brick needed! · View Widgets for To-do's, Weather, Stock Tickers, Dictionary, Thesaurus, etc.